The bill, the Freedom to Compete Act, would protect non-exempt employees from having non-compete agreements enforced against them, Financial Regulation News reports. More specifically, it would update the Fair Labor Standards Act of 1938, expanding the protections for non-exempt employees to include the expanded ability to compete within their industry. The bill would also block employers from enforcing, or threatening to enforce, a non-compete agreement with a non-exempt employee. The Department of Labor would be responsible for enforcing the provisions of the bill alongside pre-existing wage and overtime protections. Exempt employees under the FLSA are generally higher-skilled than their non-exempt counterparts, as the law excludes executives, administrators, and learned or creative professionals from its wage and overtime protections. That means, in practice, that Rubio's bill would offer a lower-skilled portion of the workforce the ability to move more freely within their industry. "Non-compete agreements that arbitrarily restrict entry-level, low-wage workers from pursuing better employment opportunities are egregious and outdated in the twenty-first century American economy," Rubio said. "My bill would empower these workers by preventing employers from using non-compete agreements in employment contracts. I hope my colleagues will join me in passing this bill so we can enhance the upward mobility of our low-wage American workers." Such agreements are surprisingly commonplace in the modern economy. A recent study found that 20 percent of workers were subject to non-competes in 2014, and 40 percent had signed them at some point in their career. The study noted that "Noncompetes are more likely to be found in high-skill, high-paying jobs, but they are also common in low-skill, low-paying jobs as well as in states that do not enforce them." The rollout of Rubio's non-compete proposal is part of the Senator's broader focus on expanding support for blue-collar labor. 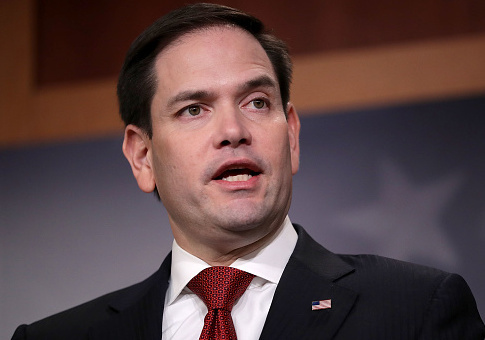 Rubio previously told the Washington Free Beacon that he intended to "look closely" at the effect of non-compete agreements in 2019, as well as working on ways to restructure and enhance private-sector unions. This entry was posted in Issues and tagged Marco Rubio. Bookmark the permalink.